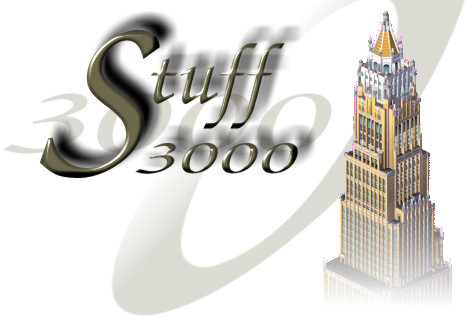 A subsidiary of CityScape 3000. I redisgned this section to make it more compatible with Netscape browsers, and as a test for changing the rest of the site to this format. Any feedback would be appreciated. Latest hint (05/02/99) on developing zones. How to raise demand for residential, commercial, and industrial zones. LandmarkPack3 includes the Chrysler Building (picture) from New York, New York, and the John Hancock Center from Chicago. Download the latest landmark pack here. More on "The Sims" here. Nicely designed city; lots of waterways flowing through it. The average residential have high land values, and commercial have very high to astronomical. A flaw in the city layout would be the inefficient road/subway systems crossing the canals.